Google addressed the Stagefright bug by solving and rapidly releasing the Android 5.1.1 Stagefright fix. However the fix broke the widely used “recent activity” log access for the developer community. As a result, the Stagefright “fix” disabled many popular task management, parental control and app-locker android applications. The Trustlook team moved quickly with a timely update of the Trustlook Mobile Security application. “Memory Boost”, our task management feature continued to work as normal for millions of our users while others’ remain disabled. The Nexus 6 Phone screenshot below shows all is A-OK. Users can continue to keep their Android devices running in tip-top shape. The story started from the Black-Hat 2015 (08/01-08/06), when an exploit called Stage-fright was revealed to the public as a threat to over 95% Android devices. The Stage-fright exploit utilizes the media-play library of Android operating system and executes malicious code embedded in multi-media files. Later on 08/12/2015, Google released the OTA for the stage-fright bug to fix Stage-fright. 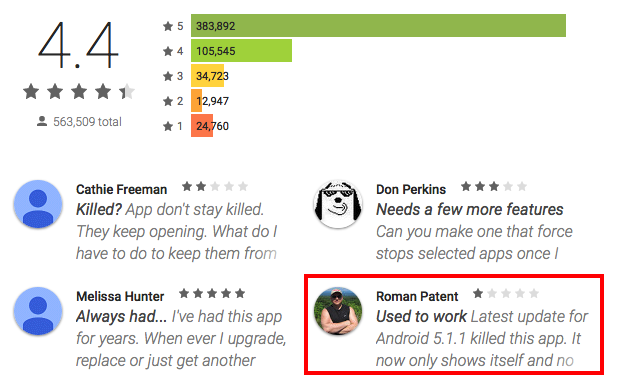 To further investigate the Android OTA update, we researched the top 10 Task Killer apps in Google Play and were shocked that ( as late as 08/14/2015 ) all apps which are supposed to kill other unauthorized processes were actually ‘disabled’ by the OTA update. Zapper Task Killer & Manager with more than 1 Million downloads was developed by a renowned mobile antivirus vendor. 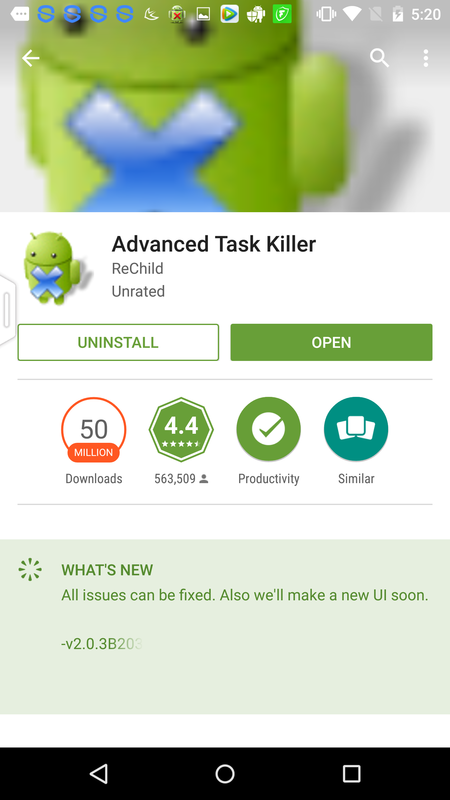 The process killer feature was blocked after the Android OTA update. Therefore, no process other than Zapper itself was recognized while several apps and games were still running in the operating system, which means that Zapper failed to access any recently apps, not to say forces them destroy. 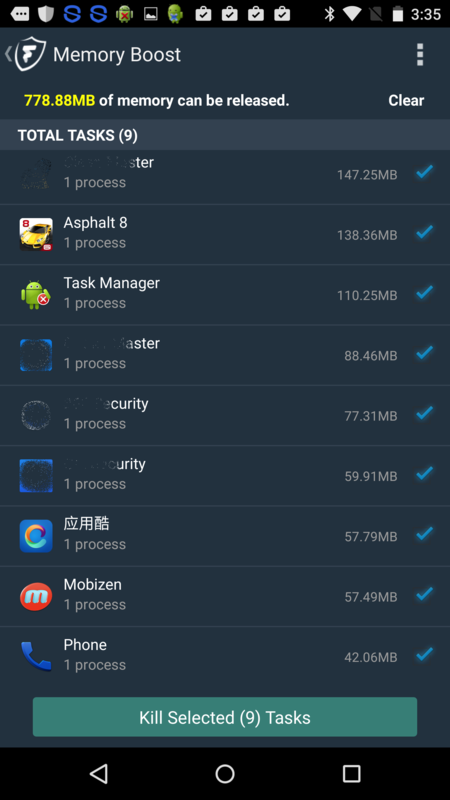 The root cause of the problem is the new permission requirement of the ActivityManager.getRunningAppProcesses() method in Android 5.1.1 version. In the Android OTA update, the PERMISSION.REAL_GET_TASKS needs to be proposed and granted by user in order to get the full list of tasks and processes. 2. to always use the most updated versions to protect the devices and the data. Please contact support@trustlook.com for comments.